72 cents/mile; 90,000 miles/yr in Northeast US; includes 2 hotel overnights/wk; weekends home. Handling upholstered sofas and chairs in factory truck. Health insurance available. 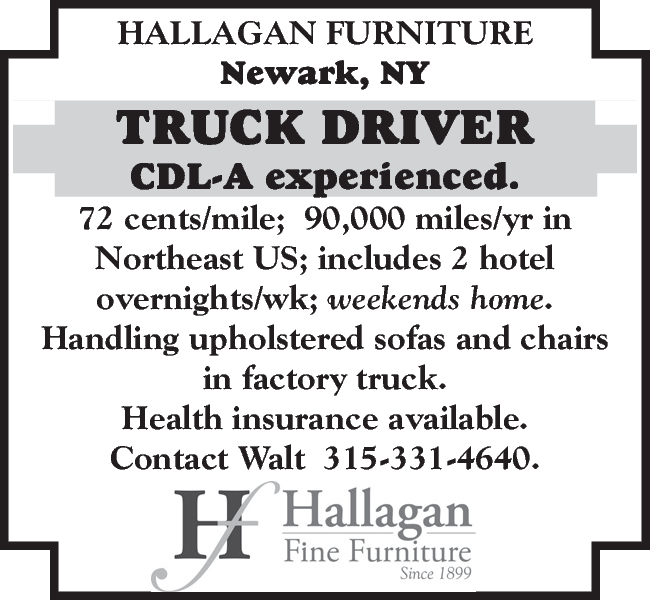 Contact Walt 315-331-4640.